Dr Leigh Anne Harden is the Assistant Professor of Biology at Benedictine University in Lisle, Illinois. She has been using Thermochrons in her work for over a decade. Previous investigations have shown that carapace [shell] temperature is strongly correlated with body temperatures in small to medium-sized turtles. 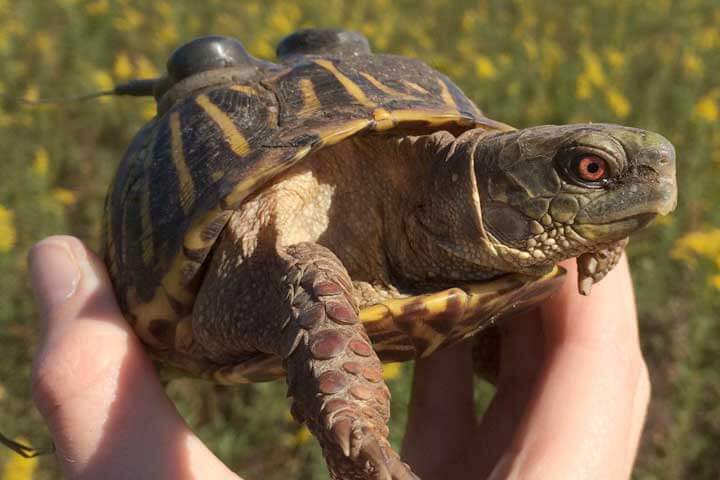 “By attaching the Thermochrons to the carapace of the subject turtles, we can collect temperature data that allows us to infer biochemical rates, physiological processes and, basically, the whole animal metabolism,” said Dr Harden. 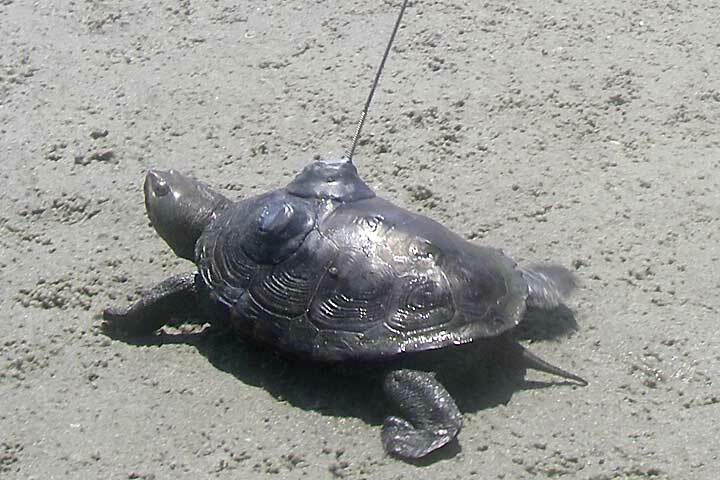 The researchers at Dr Harden’s lab attach Thermochrons to turtles using an epoxy resin. 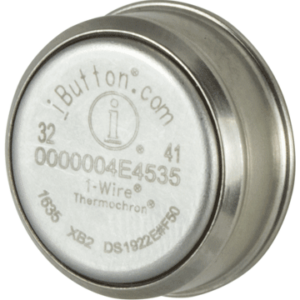 For aquatic turtles, they cover the devices with plastic tool dip to make them waterproof. Dr Harden has published a number of papers about her work with turtles and how they are adapting to living in human-influenced habitats. You can read more about her work at The Harden Lab website. The Thermochrons are attached to the turtle's carapace using epoxy. The small size of the device causes minimal disruption to the turtle's daily routine.